Unlike other languages such as English, Mandarin does not change the form of its verbs to express past, present, and future tenses. Instead, there are other ways to say how something will happen soon or the near future. 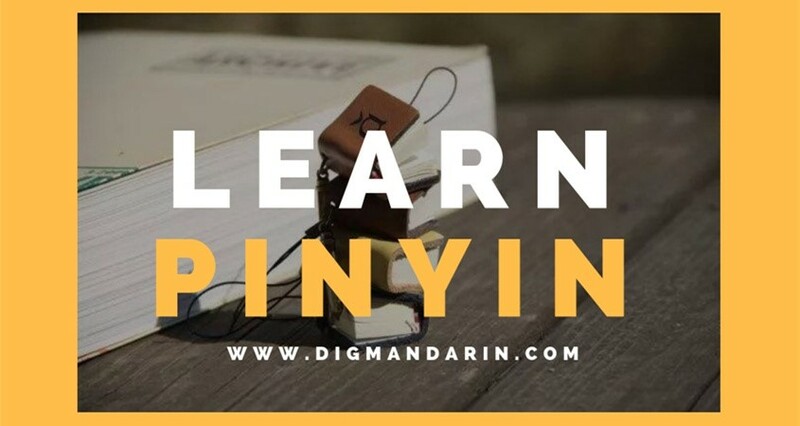 Below, we have described some of those ways, and they are quite useful and can help you become better at both written and oral Chinese. Way 1: Use“要(yào)……了”; and “就”(jiù) or “快”(kuài) can be placed before “要” to constitute “就要……了” or “快要……了”. The movie will soon start, be quick! The flight will take off. Way 2： use “快……了”which is similar to “要……了”. The rice will be ready. To form the interrogative form of these sentences, one can add the word “吗” at the end of the sentence, followed by a question mark. The Negative Adverb “没有” is its negative answer. Will the teacher begin our class? Will the meeting be finished soon? The porridge will get cold. The Spring Festival is coming, and he is ready to go home and spend Spring Festival there. I’ll be ten years old, so I’m old enough. Generally speaking, “快要……了” and “就要……了” can substitute for each other, but the important difference between them is that when there is a specific time adverbial in the sentence, we can only use “就要……了”，and not “快要……了”. They will set out tomorrow. My father will be in business the day after tomorrow. 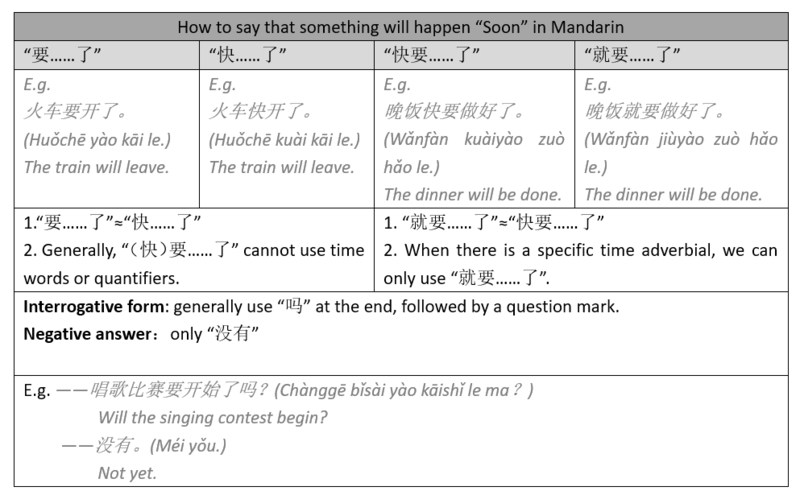 If your native language involves changing the form of the verb to indicate past, present or future tenses, it may take some time for you to adjust and adapt to how the Chinese express how something will happen “Soon”. But with practice, and in grasping the context of when such sentences are used, it is actually quite easy to understand. 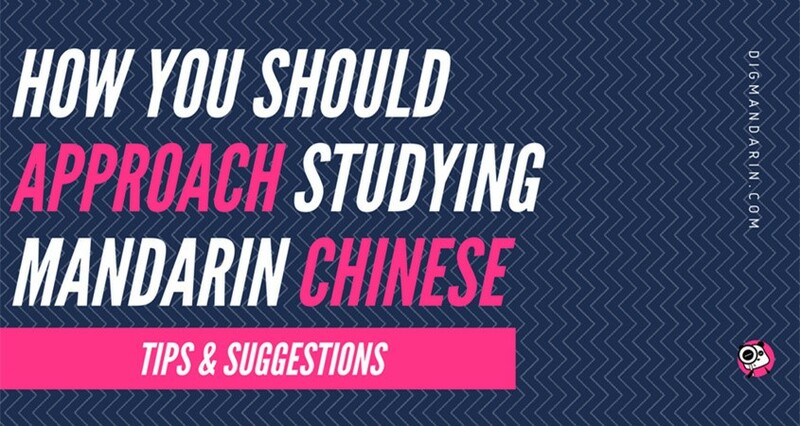 Once you get the hang of it, it will add to your growing skill with the Mandarin language.